It's DockerCon week, and with an ecosystem of close to 500 partners, that means the announcements are coming thick and fast. Considering Docker is a business and initiative that leverages pretty standard technology, its rise has been meteoric, to say the least. Given that Docker's founder, Solomon Hykes, pretty much stumbled upon the project out of his (eventually to fail) PaaS company dotCloud, it is all the more surprising. But serendipity is alive and well in the tech space, and Docker's success -- both as a project and as a business -- is a testimony to that. So, given that this project is growing like weeds, and given that this week sees Docker hold its annual DockerCon conference in Seattle, it should come as no surprise that the ecosystem announcements are coming thick and fast. Some of these -- and the news that Docker itself is announcing -- I'll cover individually, but I thought it worthwhile (if for no other reason than to show how much news there actually is) to do a quick roundup. Sysdig delivers monitoring of private Docker infrastructures . . .
Sysdig is a container-centric vendor offering monitoring, alerting and troubleshooting solutions. The company has only been around for a year or two and was born with the intention of delivering solutions that offer value specifically to organizations using containers as part of their application delivery. The company is seeing container adoption increase within enterprises, and this has led it to deliver tooling that works in private cloud settings. In a model that will be familiar to many in the cloud space, Sysdig is moving beyond public cloud containerized applications and giving customers the ability to deploy Sysdig entirely within a private or virtually private cloud. 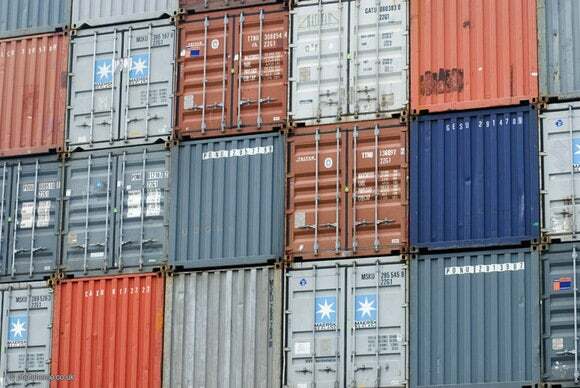 "Containers have rapidly taken hold in enterprises as the next-generation application and microservice infrastructure platform," said Loris Degioanni, CEO and founder of Sysdig. "We're happy to provide flexibility and greater security for organizations by providing our container-native monitoring technology as on-premises software, in addition to our existing cloud offering." Sysdig reports that it has already seen the adoption of this private offering within some large enterprises and gives examples of (unnamed) customers, including a Fortune 500 telecommunications equipment provider, an international biotechnology firm, a large government agency and one of the world's largest media companies. Of course, unnamed references are less than optimal, but the fact of the matter is that recent surveys have indicated an increasing enterprise appetite to utilize containers, and hence solutions that offer tools for private deployments of Docker are justifiable. Not to be outdone, Datadog, a slightly more established monitoring player, is introducing monitoring for dynamic Docker environments. Datadog has a broader monitoring perspective than Sysdig, bringing together data from servers, databases, tools and services in an effort to give a more unified view of an application stack. Datadog offers up its platform as a SaaS product. Datadog's Automated Service Discovery feature answers the problems created by the very thing that Docker enables: rapid and dynamic launch. While this rapidity is a positive thing from an operational perspective, it creates highly dynamic behaviors that are difficult to track and monitor. With this offering, teams can seamlessly monitor their Dockerized infrastructure as it changes dynamically. Datadog "listens" to Docker events -- whenever a container is created or started, the Datadog Agent identifies which service is running and then starts collecting and reporting metrics. Whenever a container is stopped or destroyed, the Agent recognizes that as well. Datadog is also using DockerCon to release a new survey about Docker adoption within the enterprise. Sampled across 10,000 companies, the report shows that Docker's market share has grown 30% in one year. Interestingly for the "land and expand" theorists, the survey found that two-thirds of companies that try Docker adopt it within one month and quintuple their usage within nine months. "We are leveraging massive amounts of data from thousands of enterprise customers to make informed decisions around research and development," said Amit Agarwal, chief product officer at Datadog. "The increasing demand for Docker led us to develop smarter ways to monitor containers with Automated Service Discovery, and we will continue to release reports in the future to help companies in their decision making." AppFormix is a startup delivering a cloud service optimization platform. Its target customers are enterprise DevOps teams, and AppFormix offers those teams a shared dashboard to understand performance across their entire stacks -- be they sitting on hybrid, private or public clouds. AppFormix delivers much of the management life cycle, including analytics, capacity planning and orchestration, and works with a variety of environments including Amazon Web Services, OpenStack, Microsoft Azure and Kubernetes. Earlier this year, AppFormix announced a collaboration with Intel that would utilize Intel's Resource Director Technology (RDT) to monitor and control the resource usage of containers and VMs. RDT is an interesting technology which allows the resource requirements of applications to be tuned: RDT can resolve the "noisy neighbor" issues within a data center where workloads within virtualized environments are impacted by workloads sitting alongside them. According to AppFormix, testing shows ContainerFlow with RDT reduced average web server response times up to 51%. The testing also shows an average 27% improvement in throughput. By actively managing cache allocation in real time, ContainerFlow reduces latency and jitter by 70%. The background to those numbers is the fact that within the context of imperfect isolation, it is impossible for containers on their own to prevent impacts on resources that the operating system kernel doesn't manage. That is logical, since the container only has purview over the resource encapsulated within it. By leveraging RDT, AppFormix allows deeper management down to processor caches and memory bandwidth. The bottom line is better performance and fewer interference impacts. "The next generation of the cloud depends on the industry's ability to create technologies that make apps built on microservices easy to write, deploy, scale and iterate," said Sumeet Singh, CEO and founder of AppFormix. "Conventional tools take longer to do their jobs than the lifespan of the services they're scheduling and monitoring. Effective tools cannot be more complex and time-consuming than the problems they are trying to solve. Current tools were begging for replacement, so we built ContainerFlow to give users the experience they demand." One name we've not seen associated with Docker before is listed analytics vendor Splunk. Perhaps pointing to the dent that Docker is making with the enterprise, Splunk is fronting up and offering analytics-based capabilities for monitoring and troubleshooting within Docker environments. Given that Splunk is heavily involved in this sort of offering for more traditional infrastructures, the Docker addition makes sense. In addition to the Splunk Logging Driver for Docker, at DockerCon Splunk will show new technology that provides insight into metrics and events on Docker containers, as well as new capabilities to gain insight into administrative changes by consuming and analyzing data from Docker's Universal Control Plane. Part of its go-to-market (beyond the private offering) is an integration with Google Cloud Platform and Amazon Web Services that will allow Splunk to offer monitoring across container applications within these environments. Weaveworks is another player in the Docker ecosystem. Weave's focus is on the networking aspects of Docker, offering a number of individual products that all help customers network, visualize and manage microservices and applications on Docker containers. Weaveworks' microservices console provides a resilient way to connect and manage containers and microservices, bridging the gap between the orchestration platform and the application. The product integrates SaaS versions of the full Weave stack, including Weave Net and Weave Scope. The company is announcing the public beta of Weave Cloud, a microservices console allowing developers and operations to connect, visualize and monitor containers and microservices, regardless of the orchestrator. Given the increasing number of orchestrators that are being used across the Docker ecosystem, this is a valuable tool. At the same time, Weaveworks is introducing Weave Net 1.6, part of Weave Cloud, which adds native Docker container network integration with AWS Virtual Private Cloud (VPC). Weaveworks plays an important part in helping organizations make the transition to the different operating model that comes into effect in a containerized organization. "Weaveworks has helped us quickly make the transition to a container environment spanning our data centers and public cloud," said David Pollak, VP of engineering, Kiva. "As a result, we're able to increase our rate of innovation, scale more effectively, and deliver a better experience to the millions who visit the Kiva website."